The auto industry's relationship with the Obama administration is ending just as awkwardly as it began. With just days left in the president's term, the EPA finalized the nation's strict 2022-25 greenhouse gas emission standards for light vehicles, a move that pits the industry against environmental groups and could trigger court or congressional action to undo them. They are the same standards the industry agreed to in 2010, as it sought a harmonized set of federal and state rules on emissions and fuel economy. But the industry expected more time to lobby for flexibility as consumer demand for fuel-efficient vehicles declined. Automakers and industry groups accused the EPA of rushing the final rule -- and locking down a key piece of President Barack Obama's environmental agenda -- without vetting all the data, and of downplaying the cost to implement new fuel-saving technologies. The EPA's original deadline for a final decision was April 2018, after a promised midterm review of automakers' progress. But the EPA had already sent signals that it was inclined to move forward quickly. At an industry conference in August in Traverse City, Mich., Christopher Grundler, director of the EPA's Office of Transportation and Air Quality, said the EPA had invested record resources to determine the final rules. He said the agency noted that automakers were already ahead of schedule and could meet the tough standards affordably. "This has been one of EPA's highest priorities," Grundler said at the time. 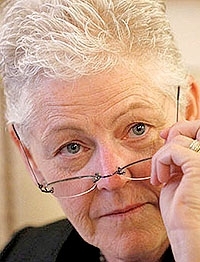 Outgoing EPA Administrator Gina McCarthy reaffirmed that point in a statement accompanying last week's decision, which was endorsed by environmental groups and the California Air Resources Board. "At every step in the process," McCarthy said, "the analysis has shown that the greenhouse gas emissions standards for cars and light trucks remain affordable and effective through 2025." McCarthy's decision, a week before Inauguration Day, makes it far more difficult, though not impossible, for the incoming administration to undo. Any effort to scotch the rule entirely could put the auto industry in a bigger bind, especially if it disrupts the alignment of federal and California regulations that automakers have long sought. The Alliance of Automobile Manufacturers, a trade group representing the Detroit 3 and other major automakers, called the EPA decision "disappointing," saying the midterm review should have proceeded along the original timetable. "We look forward to working with the federal agencies and California to see whether we can find a prudent compromise path forward that avoids an unnecessary and counterproductive regulatory collision," the group said in a statement. To head the EPA, President-elect Donald Trump has chosen Oklahoma Attorney General Scott Pruitt, a forceful critic of the agency who has questioned not only whether humans are responsible for climate change but also whether the EPA has the authority to fight it. The EPA's greenhouse gas rules are closely linked to fuel economy standards set by the National Highway Traffic Safety Administration. The EPA projects that its final rule will result in average fleetwide fuel economy sticker values of 36 mpg by the 2025 model year -- about 10 mpg higher than today's average. At the Automotive News World Congress last week, departing NHTSA Administrator Mark Rosekind said there would be no last-minute action by his agency to set fuel economy standards. Unlike the EPA action, NHTSA's corresponding fuel economy standards for 2022-25 vehicles require a new rule-making process, he said, and would be left to the Trump administration.